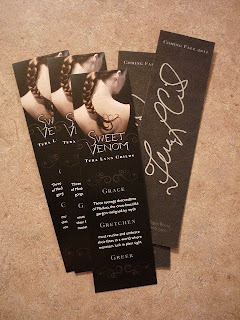 I am happy to be a part of the Sweet Venom reveal for Tera Lynn Childs today! Three teenage, Grace, Gretchen, and Greer, are descendants of Medusa, the once-beautiful gorgon maligned by myth, must reunite and embrace their fates in a world where monsters lurk in plain sight. You can see their character collage in this Books, Boys, Buzz...post. 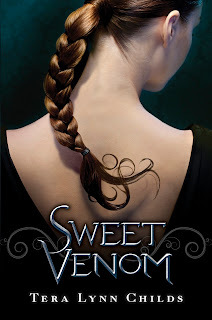 Put Sweet Venom on your Goodreads TBR pile! 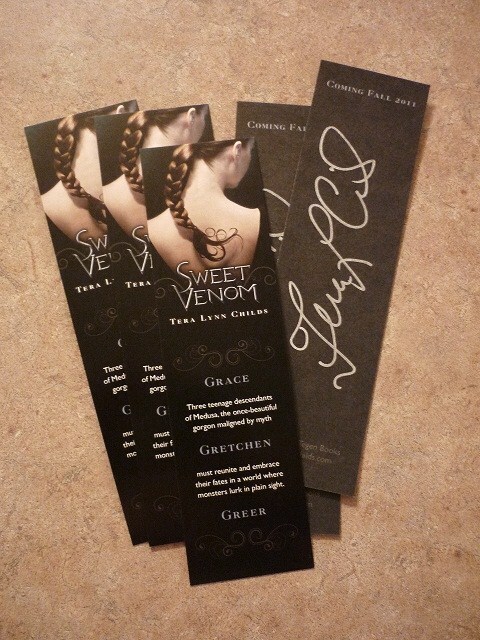 Because Tera is awesome, she has provided some wicked cool SIGNED book marks for a few of you!